For all those marvellous Mums out there we have put together a gift that fits the bill! 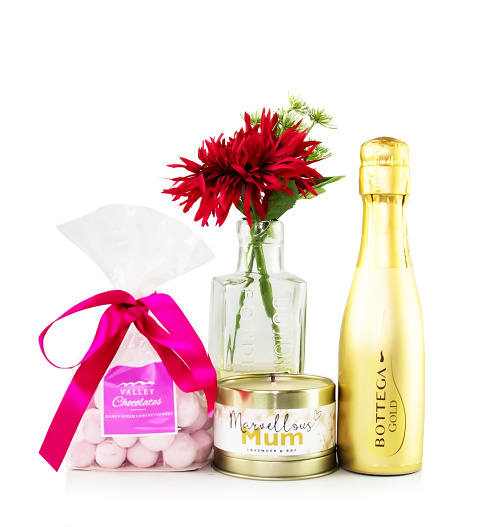 A beautifully sweet scented candle with special strawberry bon bons are accompanied with a 37.5cl bottle of prosecco and silk gerbera in a vase. Literally, everything is here to help Mum enjoy her special day this Mother's Day.